Hubs are special centers that used for switching, transferring and handling freight or passengers in transportation systems. The hub location problem deals with locating hub facilities and allocating demand nodes to hubs in order to route the traffic between origin–destination pairs. Aiming at minimizing the total costs, maximizing utilization of transporters, maximizing the service level, etc., the flow between O–D pairs is dispatched through some selected intermediate logistics centers (called hub nodes) and links connecting the hubs. In this work, a conceptual framework is proposed for hub location decision problem in transportation networks since the previous reviews are out of date. Several models, methods and decision tools are evaluated. Also future trends are added to represent a new point of view for global scale. Since the models and solution approaches are complicated, it is not practical to catch optimum results, and some relevant algorithms will be represented to solve hub models in this chapter. One of the trending subjects in facility location researches is the hub location problem. There exist several application areas for the hub location problem in logistics network; therefore, this chapter is focused on representing this problem to researchers. 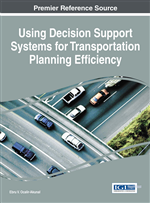 This chapter is composed of three parts: provides literature review, mathematical models/algorithms and solution approaches which are optimizing logistics services such as, movement of people, commodities and information between origin and destination. Each origin-destination pair is connected via one or more hubs (see Figure 1). The freights carried from i to j may not be same with the freights carried from j to i.